Anna has been a member of Prof Andrew Hattersley’s research team since 2002. She trained as a nurse in Exeter and has worked in both cardiology and diabetes (Ward Sister). Anna gained a PhD in 2013 – her work focused on a monogenic form of hyperglycaemia. This hyperglycaemia is caused by a mutation in the glucokinase gene. 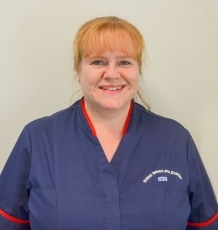 Anna is a Senior Nurse in the NIHR Exeter Clinical Research Facility (CRF) continues to have a keen focus on those with diabetes particularly those with monogenic forms. Anna also helps to set-up and co-ordinate many studies in the CRF including those which investigate more common forms of diabetes, respiratory conditions, addictive behaviours and dementia.